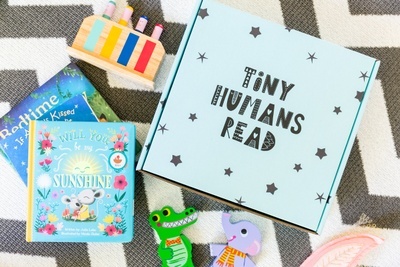 Enter your email address below to receive a notification when Tiny Humans Read starts accepting new sign-ups! 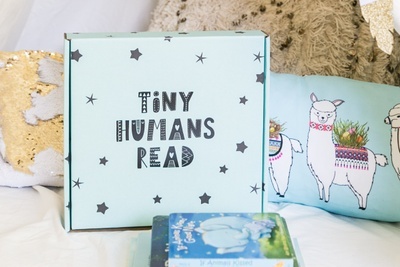 Enter your email address below to receive a notification when Tiny Humans Read is accepting new sign-ups again. Get 20% off your first box with code MOMSDAY—because moms totally rock! Your box will ship on or around the 18th of the month after you subscribe! Order by the 17th day of the current month to receive the latest box. 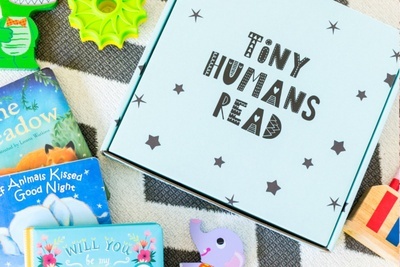 Tiny Humans Read is a monthly book box for kids 0-8! Each month you'll get a collection of whimsical stories for your child to treasure. Stories included may be silly, teach a valuable lesson, or empower your child in new and inspiring ways. 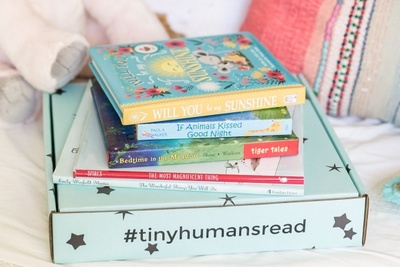 Choose the book box that's perfect for your family! 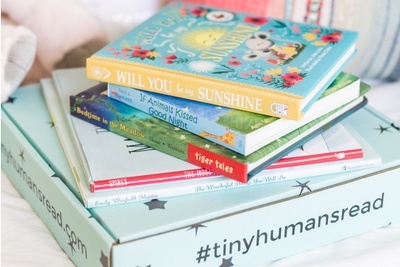 Whimsical new books + BONUS printables delivered every month! 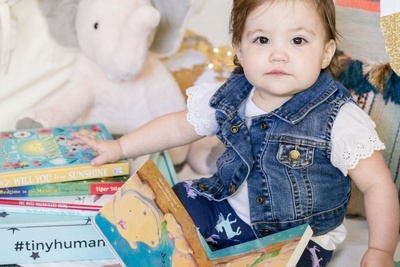 As a professional nanny I have read A LOT of books over the past 10+ year. Now that I have my own newborn daughter I thought a book subscription would be a great way to create a little library for her. The books I received were new to me, funny, cute, and a lot of fun to read. I am eagerly awaiting our next box! I received a box for my baby boy and the board books were awesome! Such a good variety and names I had never seen!! I love this, and will absolutely be a continued subscriber!! Such a cute box this month! We loved the variety of books included (all hardcover omg!) and really love how they were whimsical and different styles. My kids got into acting out some of the stories, too. Can't get more adorable than that! 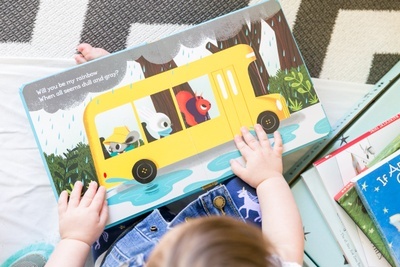 I ordered the 3 board book subscription package and absolutely loved it. My son was excited to read new books as was I. It can get mundane reading the same books over and over but with this package you never know what you are going to get. It’s always a surprise and the books are good quality. Definitely order! When I began the subscription I thought there would be more then 2 books in the box when it arrived. In the box I received there was only two books that I'd even consider as an actual book while the third was more of a comic style book... but literally only had one word repeated. I have a two year old that needs more stimulation then this particular book provided. My kids loved their first box! We received an advance box to celebrate the big launch, and we're not disappointed. The sibling box is where it's at, and everyone is happy. 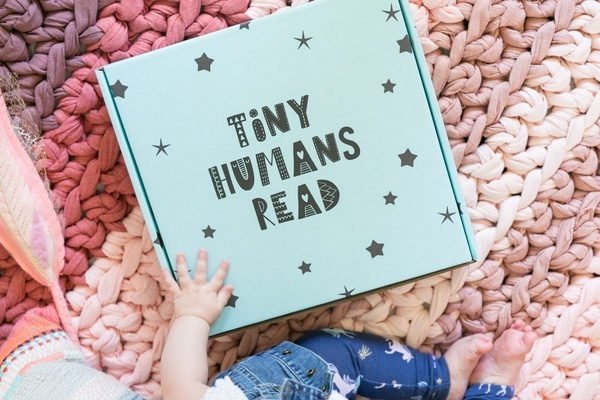 Opening the box felt so special, and we've been reading our new books over and over since. I can't wait to continue my subscription monthly now!